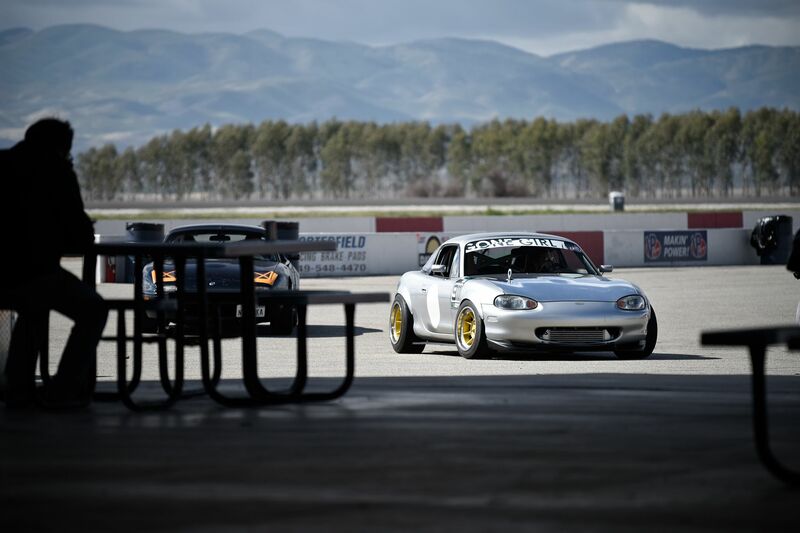 Today we’re getting to know Roadster Cup driver and part-time power stancer, Jeremy D’Ambrosio! Current class in the Roadster Cup? I am on this journey by myself! 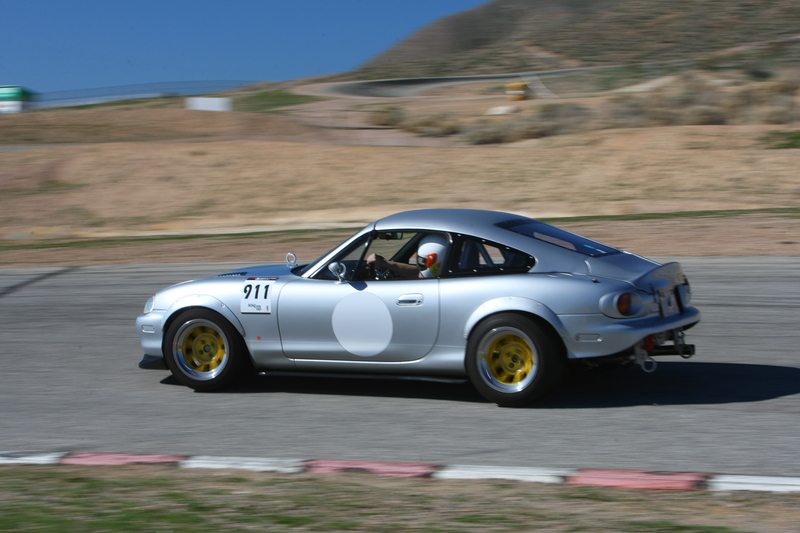 Is there a story behind your Miata? I’ve always loved watching vintage road rally events- The bulging flares, meaty tires, unwieldy power; building something that emulates that was the plan. While the focus of my build changes over time- aesthetically, my current goal is to create an efficiently nimble and cleanly minimal runabout. What do you have done to your car? Some performance highlights include an intercooled Rotrex supercharger, XIDA coilovers, Blackbird Fabworx GT3 roll-bar, and Group-4 PAG wheels. Aesthetically, an Autokonexion Fastback and Fender Flares give the NB some aggression alongside Garage Vary tail-lights. There is a plethora of other additions, but I wont bore you with the minor details! How long have you been driving? I’ve been playing around in the canyons for a few years, but as far as performance driving events go- This is my first year at a serious attempt to be a competent driver. When did you get your Miata? I moved to California about 6 years ago to attend Art Center College of Design, I purchased the NB on arrival! Do you have any upcoming plans for your car? I want to continue removing unnecessary components and improve the raw experience. I’d like to strip the power-steering and A/C, Fabricate some vented lexan windows, and trim my dash. Some more gauges could be an intelligent idea as well. 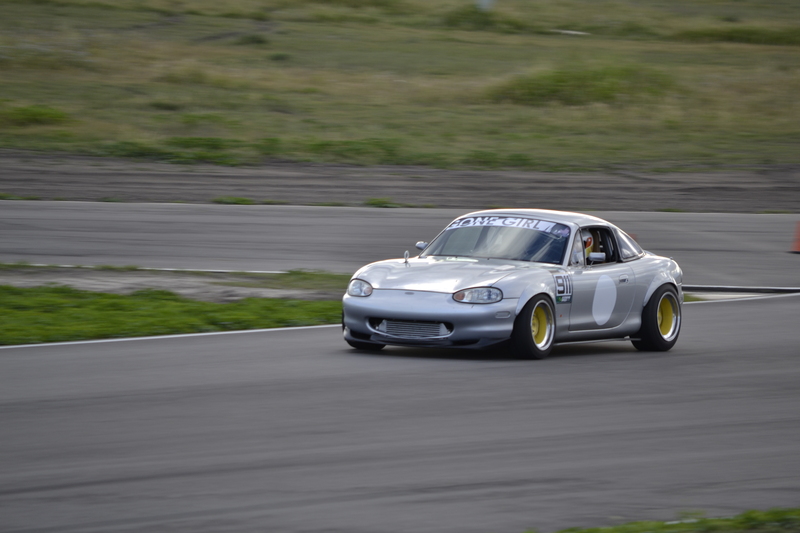 If you didn’t have your Miata, what do you think would be your track car right now? I really love EF Civics; I think it would be fun to bash around an FF hatch-back. What track would you like to see the Roadster Cup go to? If distance wasn’t an issue, Thunderhill has always been a track I’ve wanted to visit. What do you hope to accomplish this season? I’m really just out there to have fun and become a more efficient and competent driver. Learning technical driving skills and not crashing / blowing up my car are the most important things for my first year; I will work on lap times later. Favorite track you’ve driven so far and why? Buttonwillow was really intense; all the high-speed transitions kept me on my feet- It was also fun to slide around for a short time in the rain. 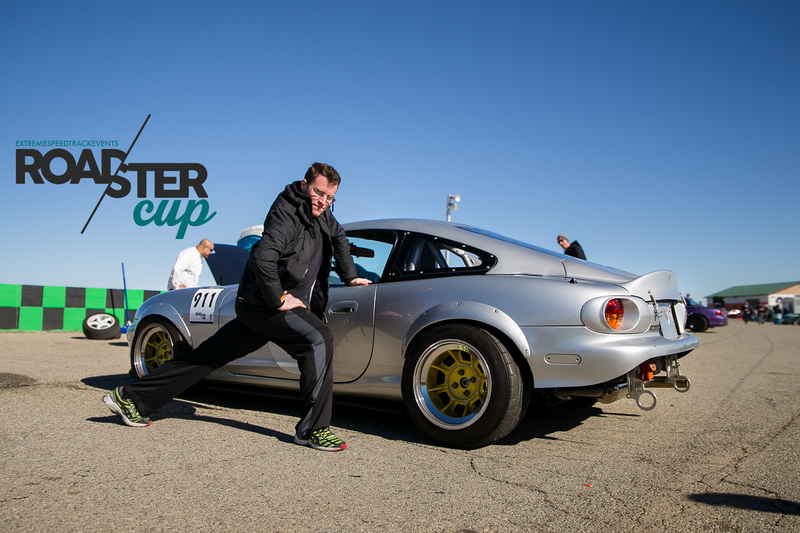 Have you done any other series outside of the Roadster Cup? Not automotive related, but while i lived in Pennsylvania i participated in the GNCC (Grand National Cross Country) series with a Honda TRX450R. I briefly took part in some Motorcycle road racing as well with an older Honda RS125. How did you get into driving? I’ve always enjoyed cruising and exploring roads in a spirited fashion; but when that became dangerous I decided to take the experience to the proper place, a track. Does your Miata have a name? What do you think your biggest challenge will be this year? Overcoming ego and listening to the advice of others. While I’m out there to have fun, I still need to take in what I can from those more experienced. Favorite track in the world? Tsukuba seems to be a fun tight circuit- But I’ve always loved Twin-Ring Motegi and Spa as well. Who is your favorite driver or a driver you look up to? I’ve always found Kimi Raikkonen entertaining. Do you have any hobbies outside of driving? What do you like most about driving? It’s entertaining to feel feedback from vehicle to driver- but the sense of control over power and grip is probably second to none. I do my own stunts, thank you very much. Some point in the near future where 3D printing can produce structural and functional automotive components instantly. If you could transport yourself instantly where would you go and why? Japan, The hub of interesting automotive and otaku culture- I hope I’d fit in. Thanks for taking the time to answer our questions, Jeremy! Subscribe or check back to meet more Roadster Cup drivers.